Get ready to catch Mumford and Sons live as they come to Madison Square Garden on Monday 10th December 2018 for one unforgettable night! It's going to be an unmissable event so be sure to book your tickets in advance and get on down for an evening you won't want to miss! Be sure to share this epic Mumford and Sons event with your friends and family! New York City gives a warm welcome to Mumford and Sons for their live show on Monday 10th December 2018! 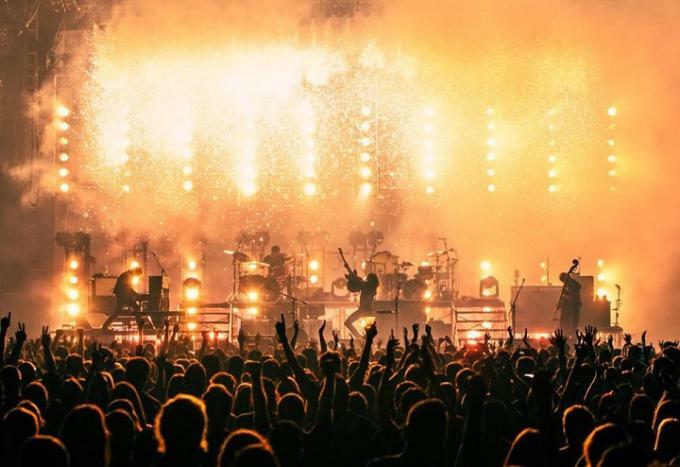 Mumford and Sons has proven their time and time again their sheer talent and incredible musicianship through their career and gets ready for another exciting North American tour! What better to do on a Monday – than catch your favorite artist perform right before your eyes… the dates have NOW been released, along with tickets for the unmissable night, be sure to tell your friends and book yours and head down to Madison Square Garden to catch Mumford and Sons – who knows when this chance will come around again, so don't wait to find out!